There was a large turnout at the grand re-opening of the Brandywine Ace Pet and Farm last Saturday, with a variety of family events outside and special deals and raffles inside the store. For customers like John Fortunato, the Brandywine Ace Pet and Farm store at a busy crossroads in Pocopson Township is a convenient and affordable place to buy home improvement products and hardware. The Birmingham Township resident has been visiting the store a few times a month for the last 15 years, and he prefers the friendly and helpful staff here to the experience of shopping in a big box store. Fortunato was among the hundreds of customers new and old who turned out for the grand re-opening of Brandywine Ace Pet and Farm. The celebration included special sales, live music, food, games and a petting zoo for children. A Samsung SMART LCD TV and Weber E-310 gas grill were among the prizes raffled off. “This is great,” said Larry Drennen, Jr., who owns the business with his brother, Chris, and father, Larry Drennen, Sr. The Drennen family purchased the property and the Ace franchise on Pocopson Road in 2012 and they immediately began mapping out plans for an extensive renovation. The re-opening marks the culmination of more than seven months of hard work. “The store was in good shape, but the interior wasn’t large enough for us,” said Chris Drennen, explaining that the renovation added about 2,500 square feet of space. The store still carries all the hardware and home improvement supplies, but they increased the amount of premium pet food that they carry and expanded the horse supplies section. What makes the store special, said Ace Hardware District Manager Phil McClellan, is that in addition to carrying all the essential Ace Hardware products, the store also carries a full line of Purina items. McClellan was pleased at the large turnout for the store’s grand re-opening because it shows the importance that the store has to the community. “So far, we’ve gotten very good feedback from customers,” said Larry Drennen, Jr.
Dave Martin, a sales representative with Bradley Caldwell, said that he’s been to a lot of store openings and grand re-openings, and the Drennens are particularly good at this kind of event. It would be hard to find a more perfect match for a country store that was first opened in the mid-1800s than the Drennan family. Their connection to the Oxford Feed & Lumber stretches back to 1919, and the third-generation business continues to flourish after nearly a century as a result of the Drennen family's efforts to modernize the business while staying true to the values and commitment to customer service that made it a success in the first place. They modernized the Oxford Feed & Lumber store, transforming it into a country store with an old-fashioned feel and modern design that provides a broader supply of pet, home and farm supplies for the local market. The family also owns Pets and Friends store in the Shoppes at Jenner's Village in Penn Township, which opened in November of 2007. That store features all the essentials that a pet owner would need, from more economical food to products that offer animals superior nutrition. Pets and Friends also carries an assortment of unique gifts for pets from dog clothing and pet carriers to picture frames and ornaments. Rusty Suher, a dealer development specialist with Purina, said that Oxford Feed & Lumber has the second-longest continuous relationship with the company. There is one store in Texas that has had a longer relationship. 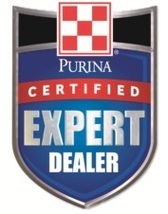 Suher said that the Drennen family is “very well-known and very well-respected” by the Purina company. Suher worked with the Drennens to stock the store in Pocopson with a full line of Purina feed products, as well as supplements and grooming products that customers might want. In addition to pet feeds, horse products are obviously popular in the area. The store carries feed for farm animals, too—including goats, sheep, and cattle. “We call it feeds for all needs,” said Suher. Larry Drennen, Jr. said that the store fits perfectly with the other businesses that they own. As Larry Drennen, Sr. looked around at the celebration for the grand re-opening, his pride was evident.